There is enough evidence on the ground to support Africa’s sustained efforts in implementing its regional integration agenda. The Africa Regional Integration Index is an action tool measuring such progress. Yet, member states and the RECs need to do more in order to accelerate the process. Economic cooperation and regional integration in Africa has been a dream of the continent’s leaders since the early 1960s. The aspirations are manifested in key regional strategic vision documents, including the newly adopted African Union Agenda 2063 – The Africa We Want. Many have viewed integration as a tool for promoting economic growth and sustainable development and improving the living standards of the African people. 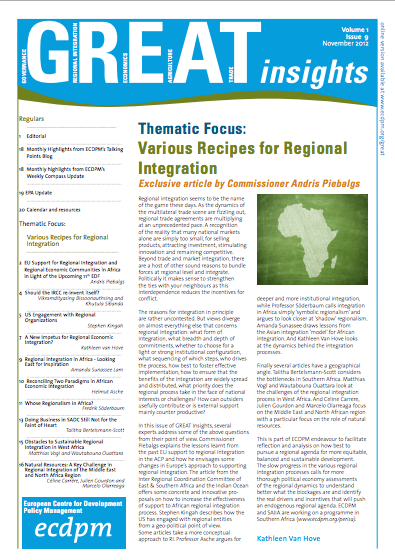 Despite being featured in many African development initiatives over the years, integration processes at the level of regional economic communities (RECs), the building blocks of the continental integration, have registered uneven progress. Yes, the continent has seen progress in various sectors, however, the scale of Africa’s practical achievements on integration have not matched that of its rhetoric or ideological commitment. 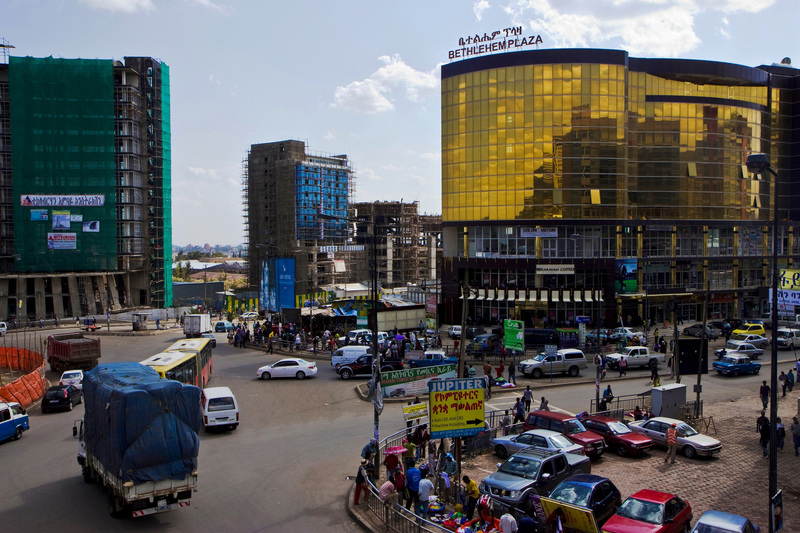 There is no longer a debate on the imperative of regional integration in the continent. Africa needs to integrate in order to create larger, more viable internal economic spaces to permit efficient functioning of markets. Economic history clearly demonstrates that regional integration is a necessity for political stability and sustainable economic development. In terms of the political and security dimension, regional integration has been beneficial as it has contributed to the reduction of armed and non-armed conflicts as well as the maintenance of regional stability in various regions across the world. The significant reduction in coup d’états in Africa can be attributed partly to the African Union (AU) zero tolerance of unconstitutional changes in government. Economically, bigger markets permit better exploitation of economies of scale, while factor mobility across borders and the harmonisation of monetary and fiscal policies facilitate faster economic growth and greater welfare for participating countries. There is enough evidence on the ground to support Africa’s sustained efforts in implementing its regional integration agenda. It is in this context that African Union Heads of State and Government continue to pursue regional integration as an overarching continental development strategy. In 1991 they signed the Treaty establishing the African Economic Community (AEC), which provides the guiding principles, the goals, as well as a region-wide framework on the integration agenda. The vision at the continental level is to achieve an African Economic Community as the last of six successive stages of integration. Consolidation at the regional level is established first through creating and strengthening the regional economic communities, followed by evolvements into free trade agreements (FTAs), customs unions, regional currency unions and full economic communities, and through horizontal co-ordination and harmonisation, eventually to culminate in a common market and economic union embracing the entire continent. Other initiatives include: the formation of the Organization of African Unity (OAU) in 1963; the launch in 2000 of the AU programme, the New Partnership for Africa’s Development (NEPAD); and the adoption of the African Union Constitutive Act in 2001. Cognisant that the pace of implementation of the regional integration agenda has not always matched the high ambitions, the African leaders have taken some important decisions along the way. These include: the AU decision in 2006 on rationalisation of the RECs, which put a moratorium on the recognition of new RECs. This was to address the challenges arising from multiple memberships in the RECs. The main objective behind this decision is to strengthen coordination and harmonisation of RECs’ policies among themselves with a view to accelerating Africa’s integration process. Another important initiative was the launching of the Minimum Integration Programme (MIP), which is composed of a set of activities, projects and programmes which the RECs have selected in order to accelerate and bring to completion the regional and continental integration process. The MIP key priority areas included: trade and market integration, free movement of persons, and infrastructural development. 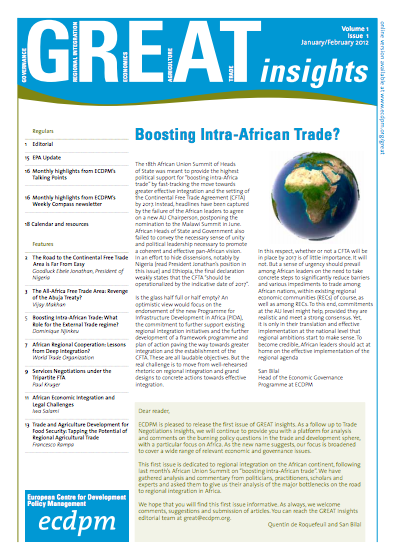 Building on the need to optimise the regional integration benefits, in January 2012 the African Union made a landmark decision to fast-track the establishment of a Continental Free Trade Area (CFTA) by an indicative date of 2017, and to implement a comprehensive action plan for Boosting Intra-African Trade (BIAT). Given the foregoing, monitoring progress of regional integration at all levels remains a challenge. In this respect, the United Nations Economic Commission for Africa (UNECA), the AU Commission (AUC) and the African Development Bank (AfDB), jointly agreed to develop a regional integration index as a measuring tool. The index of African regional integration is an indispensable reference for African governments, enabling them to see how much progress they are making towards realising the agreed vision of an integrated Africa, and in which areas of the integration agenda they might be lagging behind. It is fair to say that Africa’s integration journey towards a more connected, competitive and business-friendly continent is well underway although its roadmap is, in some areas, under construction. The Africa Regional Integration Index is an action tool measuring the progress of an Africa on the move. Undoubtedly, much progress has been achieved by the continent in a number of areas, although the level of integration is not even among all regions. It’s a well-known fact that some RECs have integrated more than others. For instance, free movement of people is a reality in the Economic Community of West African States (ECOWAS) with the operational ECOWAS passport that allows intra-regional travel of over 340 million member states’ citizens for periods of a maximum of 90 days. Under Free Movement of People and Persons, Rwanda issues visas on arrival to all African citizens at the airport; East African Community (EAC) countries not only grant three months visa for citizens holding only their national passports, but identity cards are also recognised as valid travel documents. Furthermore, under the right of establishment, Rwanda and Kenya have waived work permits for EAC citizens. 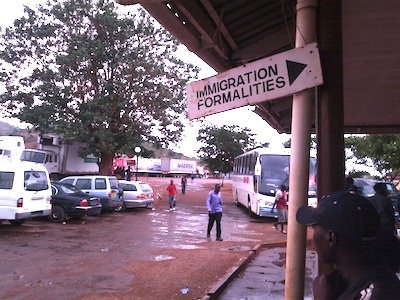 In the Common Market for Eastern and Southern Africa (COMESA), Zambia waives visas and visa fees for all COMESA nationals on official business. All holders of diplomatic passports are exempted from visas in the Community of Sahel-Saharan States (CEN-SAD). Infrastructure is likewise progressively connecting African states. Admittedly though, slow pace in the implementation of infrastructure agreements in the areas of transport, energy and information and technology infrastructure makes the journey towards regional integration long and difficult. It is however agreed that governments need to pool their efforts together to achieve the huge investments needed to develop, upgrade and maintain its infrastructure. Financial and macroeconomic integration is also high on the agenda of the RECs. The West African Economic and Monetary Union (WAEMU/UEMOA) has eight countries using the CFA franc, pegged to the euro. There is also the Economic and Monetary Community of Central Africa (CEMAC) with an additional six countries using the CFA franc. This subset of countries within ECOWAS and the Economic Community of Central African States (ECCAS) respectively, are catalysing macroeconomic convergence in the two sub-regions. In the Southern African Development Community (SADC), Lesotho, Namibia and Swaziland currencies are pegged at par to the South African Rand, which effectively means that they share the same monetary policy. In regards to trade and market integration, the world’s oldest customs union, Southern African Customs Union (SACU), with its five member states is still standing strong. COMESA launched its Customs Union in June 2009 and the East African Community launched its Common Market in 2010. ECOWAS has made progress in building its FTAs, while SADC, EAC and COMESA recently launched their tripartite FTA. Yet, negotiations for the Continental Free Trade Agreement – arguably the greatest regional integration initiative of its kind in the continent as it aims to cover more than a billion people with a continental GDP of over US$3 trillion – are still ongoing. Moreover, successful implementation of the CFTA will enable members realise their potential to expand and accelerate the dynamism of intra-African trade, including the declared objective of increasing trade by 50% among African countries by 2022. There is no doubt that African countries commonly trade more with partners outside the continent than with their immediate neighbours. This is even the case for landlocked countries. Although not to the expected levels, progress has been made in trade among various RECs as a result of strong harmonisation of policies among member states. 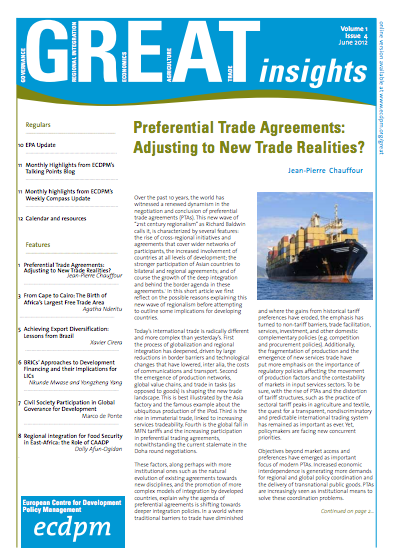 Not everybody agrees that intra-Africa trade is that low though. 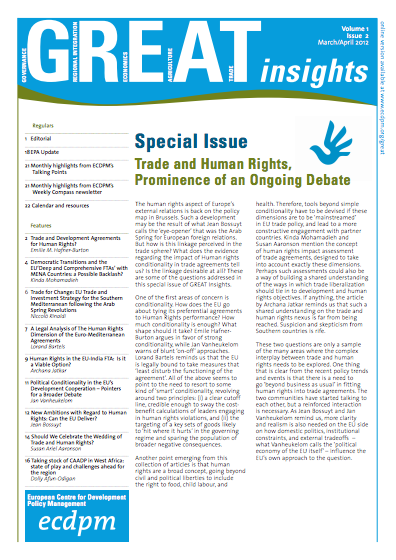 It is agreed that a big chunk of the continent’s trade is conducted informally and at times across porous borders that are often poorly monitored or informal trade statistics are simply not included in the official flows recorded by customs officials. With the adoption of a decision on the CFTA, it is expected that the continent will boost intra-African trade further. The CFTA will help in the creation of a single continental market for goods and services, with free movement of business people and investments and bring closer the Continental Customs Union and the African Common Market. UNECA calculates that the CFTA could increase intra-African trade by as much as US $35 billion per year, or 52% above the baseline, by 2022. Overall, the CFTA and the integration efforts foreseen in the Action Plan for Boosting Intra-African Trade in Africa, are expected to lead to a boost in the industrialisation objective of the continent, especially through creation of regional value chains in agro-processing and value addition to mineral exports. Transforming the mineral export volume by just 5% before exporting them can create five million jobs a year. 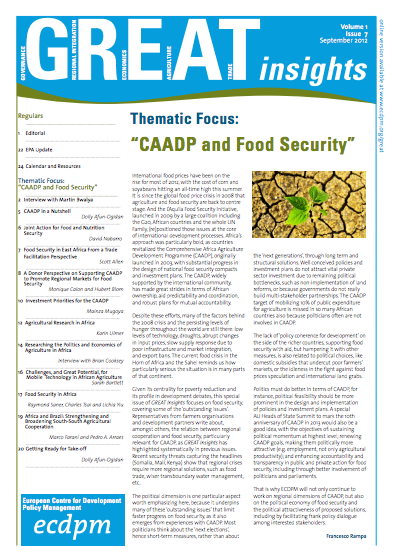 Recent UNECA estimates show that African countries spend some US $30 billion a year to import processed foods. This trend can be reversed through value added agro-processing, leading to a significant boost in jobs creation for the growing youth population in the continent. Regional integration remains one of the key priorities of African leaders towards achieving the African dream of continental unity and economic growth. There is no doubt that regional integration will offer more economic opportunities in terms of investment, economic growth, production capacity, creation of value chains and trade promotion. Africa’s fragmented markets need to be integrated in order to attract transformative investments, both from Africa and the rest of the world, as well as assist in building competitive and more diversified economies. Despite the progress achieved by African states and regional economic communities, many African countries are still faced with several difficulties in implementing the regional integration agenda. More specifically, the weak productive capabilities, lack of technological sophistication, sufficient infrastructure, as well as weak institutional capacities will have to be addressed urgently. The issue of inadequate financial and human resources along with difficulties concerning harmonisation of regional programmes into national policy frameworks will similarly have to be tackled for African states to realise the benefits of regional integration. And so, despite the above progress, member states and the RECs need to do more in order to accelerate the process. Implementation of decisions relating to regional integration needs to be strengthened at all levels, including mainstreaming them into national development strategies. Member States, particularly policymakers, should continue considering regional integration as part of their broader strategic development package. Regional integration decisions should be given priority during the planning stages of national programmes and strategies. Monitoring the implementation of these decisions should also be taken as one of the key priorities by all the key stakeholders dealing with regional integration issues. Continued political commitment by the African leaders is key if the continent is to achieve its regional integration agenda. 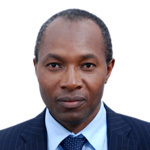 Dr. Stephen N. Karingi is Director of the Regional Integration, Infrastructure and Trade Division at the United Nations Economic Commission for Africa.